CONCORD – After doing some of their own digging, legislative subcommittee members working on a bill that could help redevelop the Balsams resort peppered the developer with financial questions on Thursday. 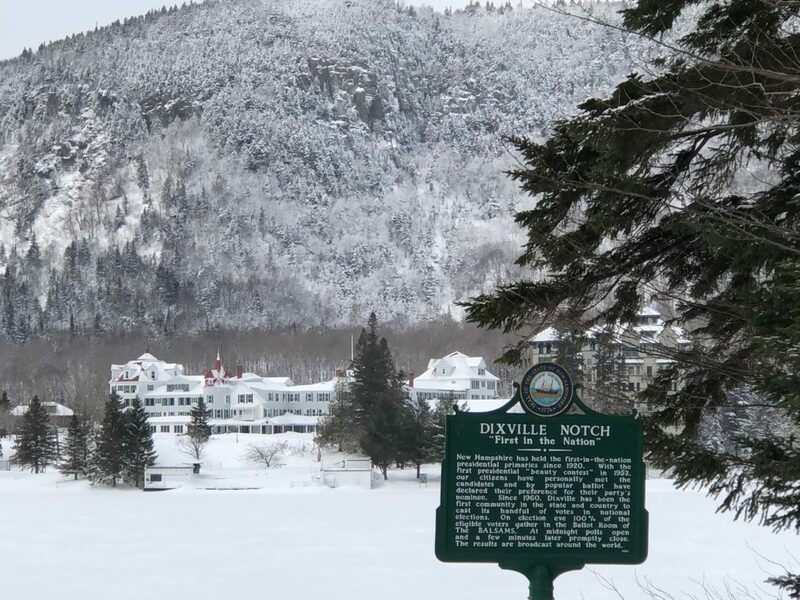 They want to be assured neither the state nor Coos County would be left to pay $28 million if the Dixville Notch project fizzles. They were told that would not be the case. The reason the state’s Business Finance Authority could not come to terms last August with the developer’s bank on a $28 million loan guarantee focused solely on state securitization issues, not the fitness of the project for development, they were told. House Bill 540, she said, is not looking for any loan guarantees from Coos County or the state. It is only looking to give unincorporated places in the state the same rights as cities and towns already have: to create tax assessment districts for redevelopment. Under House Bill 540, neither the state nor Coos County would be responsible for repaying if the project were to dissolve, said Les Otten, a veteran ski area developer who is leading the Balsams redevelopment project. The historic, century-old hotel closed in 2011. Otten, together with other investors, has been working for the past five years on a $172 million redevelopment plan. The first phase would include revitalization of the elegant hotel and a massive expansion of its Wilderness ski area. At the outset of the work session, State Rep. Jim Belanger, R-Hollis, said, “I really don’t have any particular problems with the bill, I just want to know more and make sure we are not passing something that will come back to haunt us,” Belanger said. State Rep. Edith Tucker, D-Randolph, the bill’s co-sponsor, assured the committee that she had lawyers review the bill. This is her first piece of major legislation. Tucker said the bill is “very, very clear” that there would be no liability to the county. Rep. Max Abramson, a Seabrook Libertarian and former Republican, said he did some research on tax increment refinance districts and some case law on it. He said he was trying to find out if there were private projects used for such districts. He was told by others attending the hearing that they were used in Concord to build a hotel and conference center owned by Steve Duprey, along with other examples. Carollynn J. Lear, assistant commissioner for the state Department of Revenue Administration, said the DRA was tangentially involved in the 2015 legislation that was intended to enable the development; it included a state loan guarantee and required the BFA’s approval. “Bond financing is not in our area of expertise,” Lear told the committee. This bill cancels out that legislation, but there are not any unintended consequences, Tucker said. Otten said the project has been vetted and is “viable,” adding there are markets out there to explore once the enabling legislation is passed. Everything the BFA asked for from the developers’ perspective were answered, but it was “not enough to bring the bank and BFA together. There are nuances to this that should not bear on the process going forward,” he said. “Our group, after having spent a significant amount of money, decided we wanted to continue to pursue the project….if there was a way for the county to take it on without the liability,” he said. Then he described a “bright light that went off,” which led to the bill and Rep. Tucker taking the bill on. The way it would work would be the county would create a tax assessment district through the County Commission, which acts as the board of selectmen for the 22 unincorporated places. The bond would have to be approved by a majority of the 10-member Coos County legislative delegation, which would act like a town meeting for unincorporated places. The county could hire their own private bond counsel, which would be paid for by the Balsams. So, who is harmed if it goes belly up? Belanger asked. Otten noted that he would also likely be out $20 million and that the buyer of the loan would want to see that money in the project at the same time, as well to help secure it. Correction: Rep. Jim Belanger should have been identified as a Republican from Hollis.